They're in the book. And on this disc. 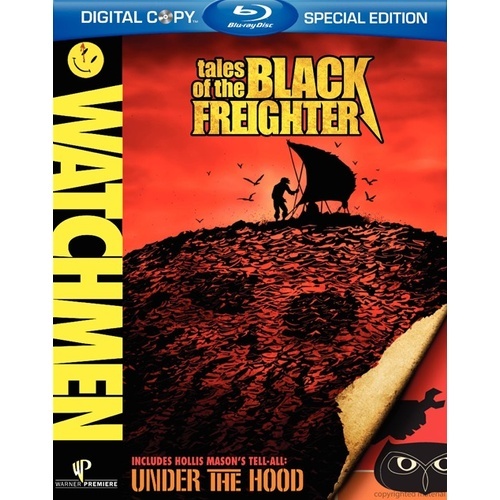 Executive produced by the director of Watchmen and 300, here are two tales from the most celebrated graphic novel of all time that do not appear in the extraordinary Watchmen theatrical feature. 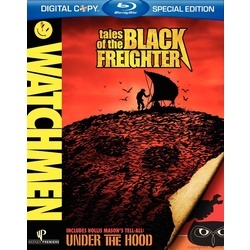 Tales Of the Black Freighter (featuring the voice of Gerard Butler) brings to strikingly animated life the graphic novel's richly layered story-within-story, a daring pirate saga whose turbulent events may mirror those in the Watchmen's world. Stars from the Watchmen movie team up in the amazing live action/CGI Under The Hood, based on Night Owl's powerful firsthand account of how the hooded adventurers came into existence. Two fan-essential stories. One place to watch the excitement. Watching the Watchmen beings here.